Statistics show that all sexually active adults are at risk of sexually transmitted diseases; young adults are at a higher risk than older adults. Well-trained physicians and healthcare providers are equipped to help prevent and treat STDs. The key to treating STD is early diagnosis and expedited therapy. In order to protect yourself from any negative consequences, it is imperative that you know your STD status. If you suspect you are infected, this is the time to take measures to protect yourself and your partners. Dr. Marina Gafanovich is here to ensure you can put your mind at ease. If indeed you have STDs, she will diagnose and treat you and she will make sure you receive treatment and are well informed about prevention strategies to avoid re-infection. Dr. Gafanovich is a top New York Primary Care Doctor. She provides quick services, same-day testing if required and expert diagnosis after a complete and thorough consultation. Dr. Gafanovich is affiliated with Weill Cornell Medical Center and enjoys a high ranking by Healthgrades.com, Vitals.com, uCompareHealthCare.com and many others as the #1 Internist in New York. 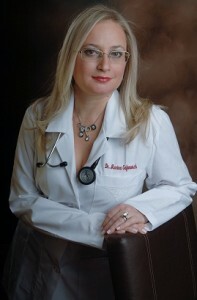 She has been running her private practice since 2008 and is dedicated to her patients. 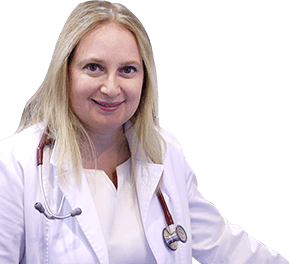 Her excellent clinical knowledge and her skills with her patients make her one of the most trusted and reputable doctors in New York. If you need to talk about your concerns about STDS or if you require information about prevention strategies, call us today and our well-qualified staff will assist you in all your needs. Dr. Gafanovich offers STD testing and preventative services as part of our routine physical examination. Book an appointment now if you fear you suffer from STDs. If your partner has also been infected or is at risk of being infected, make use of partner therapy to ensure you and your partner are healthy. Call now to book a consultation. We offer quick appointments, same day testing, results in three days and expedited treatment and prevention strategies. We promise state-of-the-art, quality patient care at affordable rates. We accept several insurance plans and have financial policies in place that are designed to ensure you get the treatment you need without any additional stress or anxiety.